CHARLOTTE, N.C. (January 20, 2017) – The No. 3 Goodwrench Chevrolet driven by Mike Skinner during his NASCAR Camping World Truck Series championship season has been added to the Glory Road: ICONS display at the NASCAR Hall of Fame. 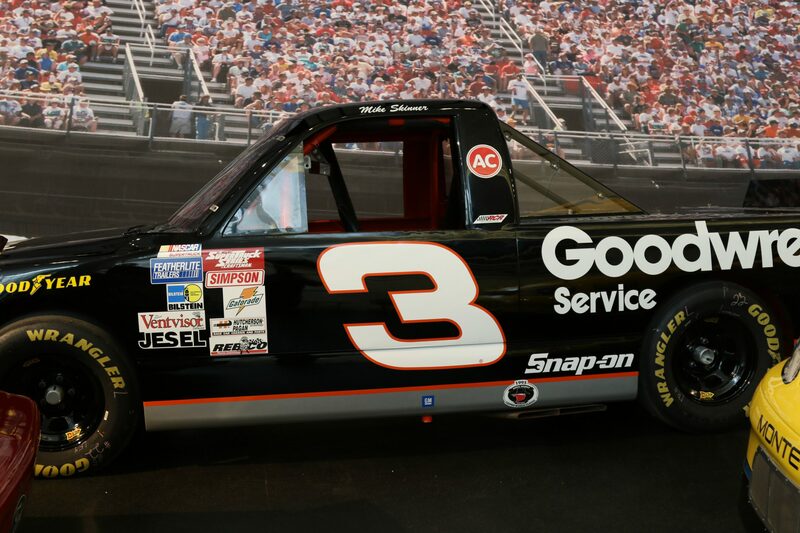 Unveiled earlier this week, the truck helps show the history of the NASCAR Camping World Truck Series, where Skinner was crowned the inaugural champion in 1995. The truck was given to Skinner in 2013 as a retirement gift by his former team owner, 2017 NASCAR Hall of Fame inductee, Richard Childress. Coming out the gate with a win in the series’ inaugural race at Phoenix International Raceway, Skinner quickly became known as a fierce competitor and earned himself the nickname “The Gun Slinger” as he “shot down” the competition on the track. Over the course of two seasons, Skinner drove the No. 3 Goodwrench Chevrolet to victory lane 16 times, amassed 15 pole awards, led over 2,500 laps, and recorded 38 top-10 finishes in just 44 races, while also earning the 1995 championship. Prior to gifting the truck to Skinner, Childress had the truck restored to its original condition, to include having the pedals, mirrors and seat set to Skinner’s preferences—just as it was raced during his 1995 championship season. The truck is one of just two original No. 3 Chevrolets left in existence, with the other being housed at the Richard Childress Racing museum. The NASCAR Hall of Fame will be celebrating its annual NASCAR Fan Appreciation Day with free admission to the hall January 21, 2017. Additional information about tickets and planning your visit can be found at nascarhall.com.